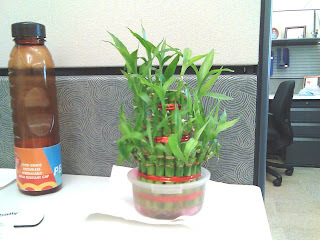 I don't see how having a potful of plants at desk can reduce your stress. The only thing that seems to be happening is that you are making the plants' life very stressful and miserable by placing them indoors, far away from sunlight. Illa lo - the one I got is an indoor plant. And stress relieving - well, the color green is known to be soothing to eyes and plant gives out more oxygen! all i ask is pls don't kill the plant!! Plants need love and care too!